Today I ran down an “up” escalator with my stomach full of mozzarella and espresso. Honestly, this is a pretty good metaphor for how the last month and a half has been for me in Italy: exhilarating, frustrating, accompanied by plenty of moving backwards, and success only after a big leap of faith. And always after eating a little more than I thought I could! The weather in Florence is almost unbearably hot and humid but I am getting used to it. I spend my mornings in Italian class and my afternoons volunteering in art therapy or exploring the city. I drink at least two espresso a day, speak only Italian at home, and I am slowly cooking my way through a Tuscan cookbook. I work in the garden with my host nonna (grandmother). I practice my landscape sketching on the banks of the Arno and in various piazze (plazas) around the city. When I get homesick and/or overheated I watch American movies dubbed in Italian at the foreign movie theatre. I am loving my volunteer work, my students, and the new friends I have made here. The most precious moments of my travels have been moments of personal connection. I am cherishing my new relationship with my nonna Sara. My language skills must be improving since we are talking more than ever … she even trusts me to mow the lawn! Sara finally told me to stop using the formal “Lei” verb tense with her and use the informal “tu” and honestly its one of my top ten accomplishments so far. Maybe ever. 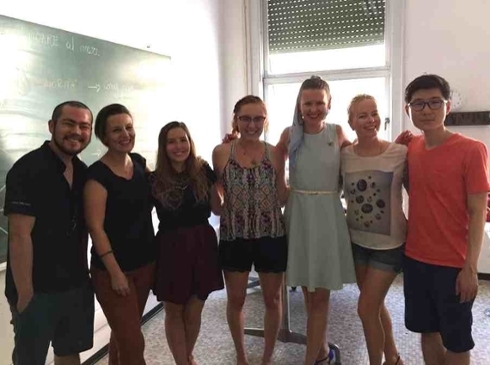 My italian class is at an international school for foreigners. I was surprised to find that I am the only American in my class, though there are only six of us. The class is more of a time commitment than I expected, but I am learning a lot, and my professor is what I would call “secretly a Reedie.” She has doctorate in linguistics and has such a unique perspective on language acquisition. This outlook is especially important when everyone in the classroom has a different “madre lingua” (mother language). My friends are German, Russian, Japanese, and Korean, and we speak in a funny mixture of english and italian with some german thrown in. 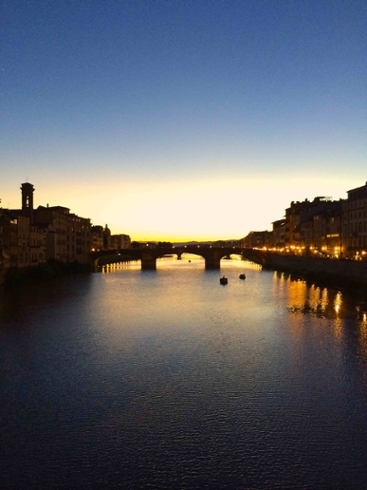 Though I studied abroad in Florence last spring, actually living here feels very different. Now that I have gotten the initial adjustment to traveling abroad over with, I am able to dive deeper into into this new way of life and explore further without fear. The biggest lesson I have learned about Italian culture is that everything is to be done, “con calma.” Literally translated “with calm” but meaning a combination of “please chill out,” “its no problem,” and “lets talk about it later.” Needless to say this is not what an eager American with a checklist of summer plans and expectations really wants to hear, but I’m working on embracing it. Before leaving Portland, I agonized for months over planning my volunteer position at the Cooperativa Barberi. I wan’t able to get very committed responses from the school administration over email, and I was terrified that all of the regulations on foreign workers in Italy would keep me from volunteering. But when I arrived in Florence I realized that this is just how things are done: con calma. All of my worries quickly disappeared when I simply showed up at the school and was finally able to talk face-to-face with the art teachers and volunteer coordinator. My volunteer work started slowly at first, but it still feels like a blur of learning new names, figuring out the italian vocabulary I need for our art projects, and trying to understand the unique abilities and challenges of each student. Every student has very different needs and their abilities range from mildly autistic to completely non-verbal. 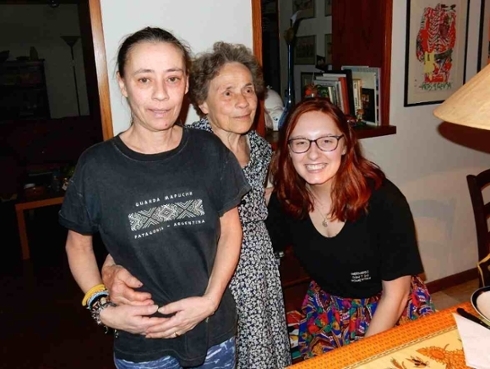 Not only am I adapting to Italian culture, but I am also learning the ways of a unique subculture where there is no “normal.” It is perfectly okay to burst into song in the middle of a sentence, have a conversation completely in grunts and hand gestures, and give hugs without warning. Breaks between classes are loud and confusing and full of energy and movement. My very first day at the Co-op as I sat with my students during snack time, one girl looked over at me and shaking her head she said, “sono tutti pazzi!” (everyone is crazy!). Looking around, I couldn’t help grinning. Yes, the students were drooling, playing wheel-chair bumper cars, dancing, and putting together a completely crooked puzzle, but with so much genuine love and enthusiasm. My students are joyful, open, honest, and yes, crazy — but in the best possible way. More to come: volunteering excitement and difficulties, reuniting with my art professors, and work on my photography project!